vitamin C..how much do u really need? What u know about vitamin C?? first of all..let me just introduce u to vitamin C..
Vitamin C (ascorbic acid) is an essential nutrient. Vitamin C is a water-soluble vitamin. What the importance of vitamin C?? reducing agent, which donates electrons and prevents oxidation. metals, such as cupric ions, and ferric ions. cells, and is devoted quickly during infections. histamine release and maximizes the detoxification of histamine. What should i consume as source of vitamin C?? Because your body doesn’t produce or store vitamin C, it’s important to include vitamin C in your diet. For most people, a small glass of orange juice plus a serving of strawberries, chopped red pepper or broccoli provides enough vitamin C for the day. How much do you need vitamin C?? Most experts advise that you meet your daily vitamin and mineral requirements by eating a balanced diet. For adults, the recommended upper limit for vitamin C is 2,000 milligrams (mg) a day. More accurately Men should intake minimum of 90mg/day and women 75mg/day 200mg – 300mg is a good target. How about high dose of vitamin C? Is it dangerous? Now many beauty products containing vitamin C as serum, especially in the form of creams, lotions and gels. Vitamin C was originally used in skin care products in the form of ascorbic acid. At a 10% concentration and low ph, ascorbic acid has been shown to stimulate collagen, decrease wrinkle depth and have lightening effects on pigmentation. Vitamin C serum will combat and protect you against the harmful effects of Sun, work to fight free radicals with its potent antioxidant as well as reducing fine lines and wrinkles. It was thought that a minimum 10% concentration was required but newer information indicate that lower concentration (5%) may have benefit. When looking to purchase a Vitamin C Serum it is necessary to pay close attention to the concentration of vitamin C contained in the product. READ THE LABEL!! !Be very cautious when looking at most lotions as they have such a small amount of vitamin c so they can merely claim it is in the product that in the end will offer little to no benefit to your skin. You cannot judge from the prestige or price of the product you buy, you need to look at the concentrations. For reasons that are not yet known, Ascorbic Acid at a good concentration does not work in everyone. It may only be 60% of the population who get the age reversing benefits of vitamin C. Some people who do not respond to Ascorbic Acid however still get anti-aging benefits from the newer vitamin C derivatives. Vitamin C, however is a potent antioxidant and you still should get the benefits of protection from UV induced cell damage even if it does not keep you looking younger. There is also side effects using vitamin C serum and u must take precautions. 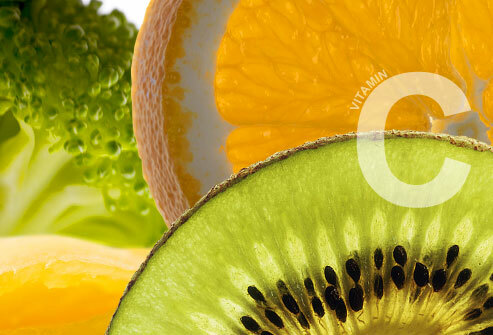 For some people, vitamin C can cause redness and stinging upon application. Usually your skin gets used to the treatment and this kind of irritation will subside. However, sometimes you have to downgrade to a less potent C serum to make it more tolerable. Others even experience allergic reactions, such as itchy red bumps, and cannot use vitamin C at all. It all depends on your skin and how it handles the antioxidant. Besides vitamin C induced irritation, some people breakout from vitamin C products because of their base. Some C serums have silicones or other inactive ingredients (to help keep the vitamin C stable longer) that can be problematic for acne-prone or sensitive skin. To minimize irritation, it’s important to start using vitamin C at the lowest concentration you can tolerate because once you apply the treatment to your skin, the vitamin C is immediately absorbed (even if you wash it off right away) and stays in your skin until it gets all used up (around 3 days). That could be three days of redness if your skin doesn’t like vitamin C! How about vitamin C injection? Attraction of people to try injectable vitamin C is mainly due to antioxidant properties owned by this vitamin. Antioxidants are very popular as a powerful weapon that can destroy free radicals, which can damage healthy cells and can cause various diseases and damage to the skin. In general, the benefits of injectable vitamin C is to boost the immune system, accelerate the healing process, stimulate the rejuvenation of skin cells so skin looks healthier and brighter. In addition, injections of vitamin C is believed to be more effective because it directly reaches the target on the blood vessels. While other methods of consumption (via oral) believed to be less effective, because of the possibility of vitamin C are easily soluble in water can be lost during the process of metabolism. Therefore, injections of vitamin C are now starting to demand by the upper middle class, especially those living in urban areas. Moreover, injection of vitamin C is considered safe enough for health. However, giving injections of vitamin C should not be done haphazardly. Giving injections of vitamin C should be performed by physician specialists and through medical examination and interview in advance. This is done to avoid possible side effects can occur in certain body conditions. Side effects of vitamin C injections can be temporary, but they can be serious. One of the most common is inflammation on the place of administration. There is also possibility of allergic reaction like in any other medicine. There is also strange sensation in bones, but also kidney problems have been reported. Some side effects can be even life threatening, but it isn’t often. I think I’ll just stick to fruits and vegetables. Much more safer then playing with needles! Which vitamins will need most? Wahn –> penyakit yang sangat berbahaya! !